Hailing from the remote location of Perth, West Australia, saxophonist and composer Troy Roberts has received numerous accolades including 3 DownBeat Jazz Soloist Awards, 2 Grammy Nominations, and was the only Australian semi-finalist in the 2008Thelonious Monk International Jazz Saxophone Competition.Graduating with a Bachelor of Music at the young age of 19, he has performed around Europe and the US extensively with artists such as James Morrison, Aretha Franklin, Van Morrison, Christian McBride, Sammy Figueroa, Dave Douglas, Orrin Evans and Kurt Elling to name a few, and also completed a Masters Degree at The University of Miami. In 2012, he shared the stage in an international septet comprised of jazz giants Wayne Shorter, Richard Bona, Vinnie Colaiuta and Zakir Hussein for Herbie Hancock’s launch of the first ever International Jazz Day at The UN, NYC. He was also part of Hancock’s 2014 International Jazz Day held in Osaka, Japan performing with more jazz luminaries such as Gregory Porter, Marcus Miller, Esperanza Spaulding, John Scofield and Dee Dee Bridgewater. Troy is based in New York City and maintains a busy performance and recording schedule around the globe with some of the greatest jazz artists of today including The Jeff ‘Tain’ Watts Quartet and Joey DeFrancesco’s new quartet, ‘The People’. He is currently celebrating his 8th record as a leader, Nu-Jive Perspective (Inner Circle Music). "Tales & Tones" is abound with impeccable delivery and inspired performances within a very melodious and challenging group environment. 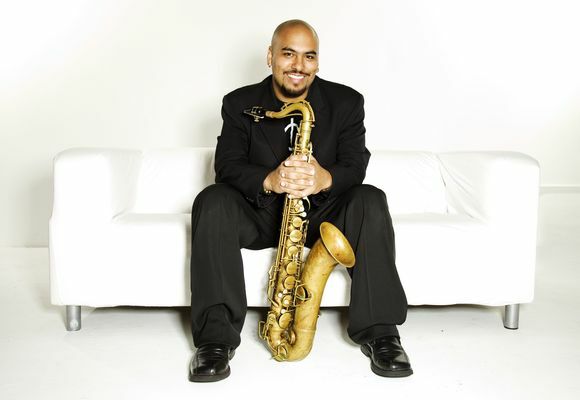 Tenor and soprano saxophonist Troy Roberts possesses a robust flexibility and dexterity that serves as a very convincing sonic calling card. He has successfully managed to forge a stunning and a most personal approach on every selection and is propelled even deeper into the soul of the compositions by a relentless and driven sense of purpose. This project summarizes Troy's potential with a stunning projection of all that is possible, given a proper supporting cast and a clear artistic vision. “…Substance and style will triumph over pretentiousness and ego every time. Roberts has a resume that will certainly make one sit up and take notice having shared the stage with such luminaries as Nicholas Payton, Orrin Evans and John Clayton. Nu-Jive5 is Roberts fifth release as a leader and is brimming with vitality and that certain pop of originality that separates the "artist" from the "musician…"